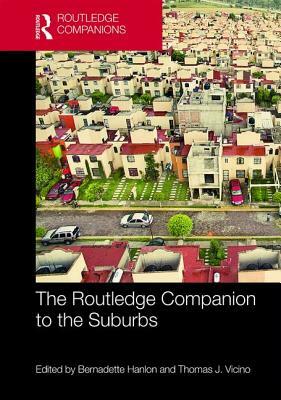 The Routledge Companion to the Suburbs provides one of the most comprehensive examinations available to date of the suburbs around the world. International in scope and interdisciplinary in nature, this volume will serve as the definitive reference for scholars and students of the suburbs. This volume brings together the leading scholars of the suburbs researching in different parts of the world to better understand how and why suburbs and their communities grow, decline, and regenerate. The volume sets out four goals: 1) to provide a synthesis and critical appraisal of the historical and current state of understanding about the development of suburbs in the world; 2) to provide a forum for a comprehensive examination into the conceptual, theoretical, spatial, and empirical discontents of suburbanization; 3) to engage in a scholarly conversation about the transformation of suburbs that is interdisciplinary in nature and bridges the divide between the Global North and the Global South; and 4) to reflect on the implications of the socioeconomic, cultural, and political transformations of the suburbs for policymakers and planners. The Routledge Companion to the Suburbs is composed of original, scholarly contributions from the leading scholars of the study of how and why suburbs grow, decline, and transform. Special attention is paid to the global nature of suburbanization and its regional variations, with a focus on comparative analysis of suburbs through regions across the world in the Global North and the Global South. Articulated in a common voice, the volume is integrated by the very nature of the concept of a suburb as the unit of analysis, offering multidisciplinary perspectives from the fields of economics, geography, planning, political science, sociology, and urban studies. Bernadette Hanlon is Associate Professor and Chair of the Bachelor of Science Program in City and Regional Planning in the Knowlton School of Architecture at The Ohio State University in Columbus, Ohio, U.S.A. She specializes in political economy of cities and suburbs, environmental sustainability, immigration, and urban environmental policy and planning. She is the author or co-author of three books, including Once the American Dream: Inner-Ring Suburbs in the Metropolitan United States (2012). Thomas J. Vicino is Professor and Chair of the Department of Political Science in the College of Social Sciences and Humanities at Northeastern University in Boston, Massachusetts, U.S.A. He specializes in the political economy of cities and suburbs, focusing on issues of metropolitan development, housing, and demographic analysis. He is the author or co-author of four books, including Suburban Crossroads: The Fight for Local Control of Immigration Policy (2013).